Large-flowered coreopsis is very similar to lanceleaf coreopsis. 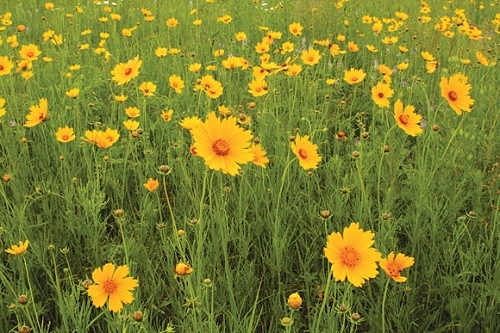 The main differences are the leaf shape and bloom time: large-flowered coreopsis blooms a little later. The flowers are not noticeably larger. They can be used as a cut flower in floral arrangements. Along with other Coreopsis species, C. grandiflora is one of Missouri's best for bees. 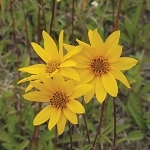 Large-flowered coreopsis is rhizotamous and will form a colony that can be divided when mature. It also germinates easily from seed.